Vivien studied music at the Royal Manchester/Royal Northern College of Music after previously studying medical sciences. She graduated with teaching and performing diplomas and a silver medal. Vivien has wide experience as a recitalist and soprano soloist with many choral societies. She has sung in choirs from the age of 7 and is a former member of the BBC Northern Singers. She is vocal coach for several choral societies. Over the years as a peripatetic teacher of singing in Yorkshire, she has taught hundreds of young singers, one of the first being Lesley Garrett. Her choirs have won many prizes in national and international competitions and have enjoyed tours to Italy, Germany, Ireland, Australia (representing UK at the first Melbourne International Choral Festival), Canada and USA, Finland and Estonia. Her female choir celebrated 30 years of high standard singing in 2009. Vivien is in great demand for solo singing and choral workshops and has worked with singers in Sweden, Latvia, Ireland, New Zealand and Estonia. She has lectured in Latvia and Slovenia and recently as a visiting professor at the Estonian Academy of Music. Her international jury work includes the World Choir Games in Linz and Graz, festivals in Malta, Italy, Germany, Ireland, Jersey and is currently the UK representative on the World Choir Council. She is an external examiner of singing at degree level and a former visiting lecturer/examiner in choral conducting at Huddersfield University. She was awarded an Honorary Doctorate by Sheffield Hallam University in 2006 for her work with singers nationally and internationally and is a Churchill Fellow, researching the Cultural Influences on Voice Development in Sweden, Finland and Estonia. She has recently been elected a Fellow of the Royal Society of Arts and was awarded a Fellowship of the British and International Federation of Festivals in 2013. 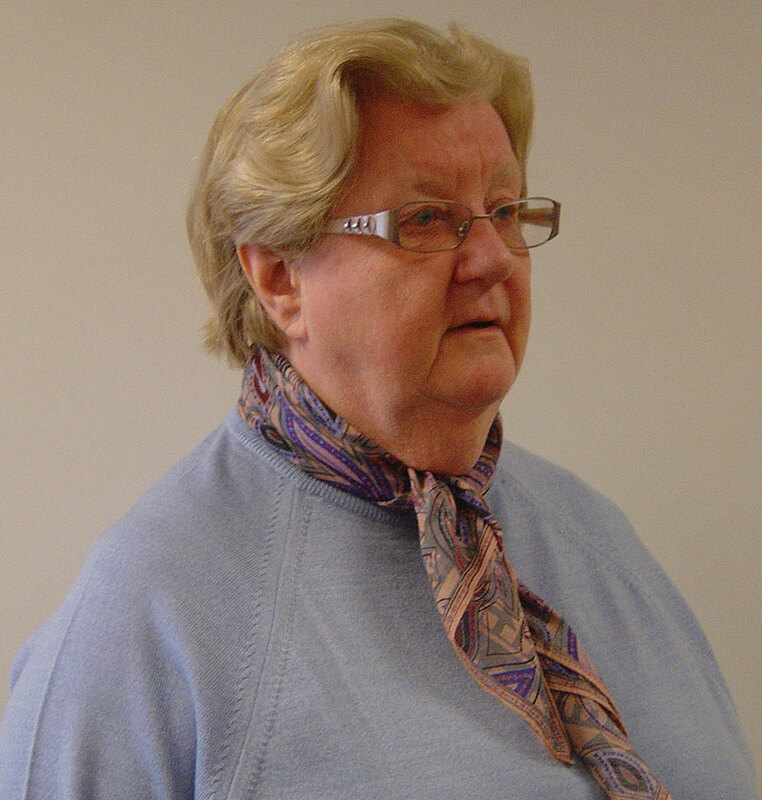 She has been a BIFF adjudicator for more than 30 years.